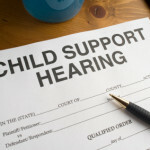 Are you anticipating a child support order? Do you want to estimate how much your child support order may be? Our online calculator can help you get a rough idea of what your future finances may look like. For added help, you may also wish to consider consulting with a local Clarksville attorney to assist with your case. You can start that process today by contacting us for your free initial consultation! Why Is Child Support Ordered? Determine what your gross income is and then look at your adjusted gross income for total responsibility. The easiest place to find this information is on your latest tax return. You’ll also need these figures from the other parent that is involved in your case. Combine the adjusted gross income of both parents to determine what the anticipated child support order will be. Keep in mind that the minimum child support obligation is $100 per month. This exists for parents with a combined adjusted gross income of just $150 per year. Can Variable Expenses Be Anticipated? Your Clarksville attorney can also help you look at the variable expenses that may be added to the basic obligation of child support. This calculator can help you determine the addition of typical variable expenses, such as health insurance. With child support, however, there are almost always unanticipated costs associated with an order, such as a medical expense or a change in needs that can dramatically change the obligation. To make sure your child has the best support they need and to make sure your rights are professionally represented, a local Clarksville attorney will work hard to bring about the best outcome possible. Get your free, no obligation consultation today! Request Free Initial Consultation Online or Call Our Offices to schedule your in person same day appointment.